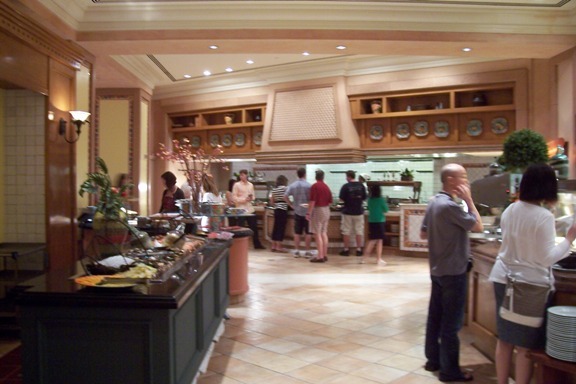 The massive buffet at Market Place, a restaurant in the Royal Towers at Atlantis, is expensive, overwhelming, and quite an experience! 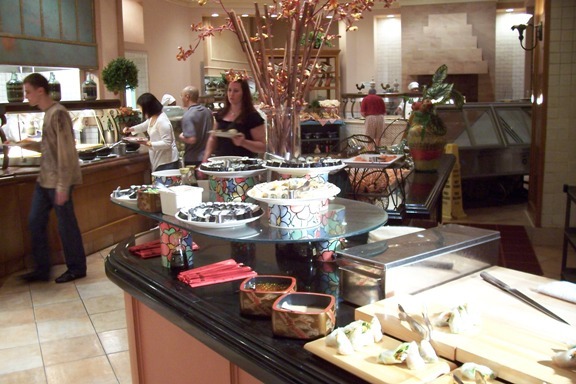 As with all buffets, I love to take a small taste of everything, but I frequently disappoint myself by getting full too fast. Pace yourself! 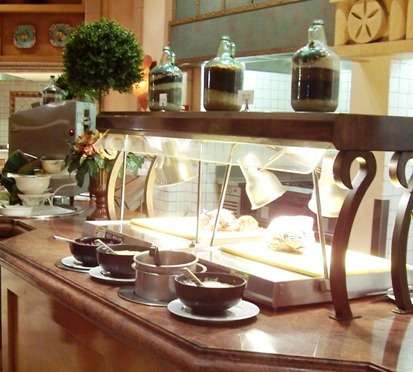 Several other buffet restaurants on Paradise Island offer different prices and experiences. The prices are really steep, so only eat here when you’re hungry enough to make it worth the expense. For some reasons, Sunday brunch is cheaper for kids than is breakfast. Only soft drinks are available, but like the food, you can have as much as you’d like. 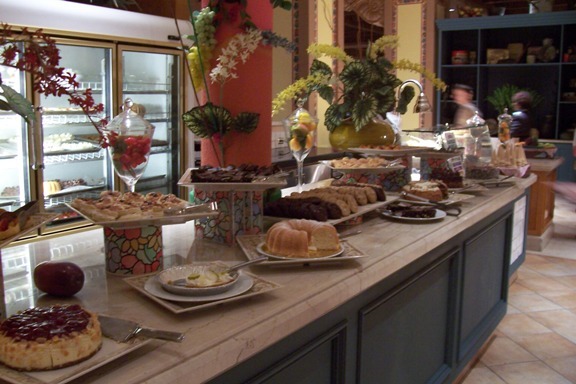 I’m not much of a dessert fan, but the long tables filled with sweet delights were beautiful to behold!